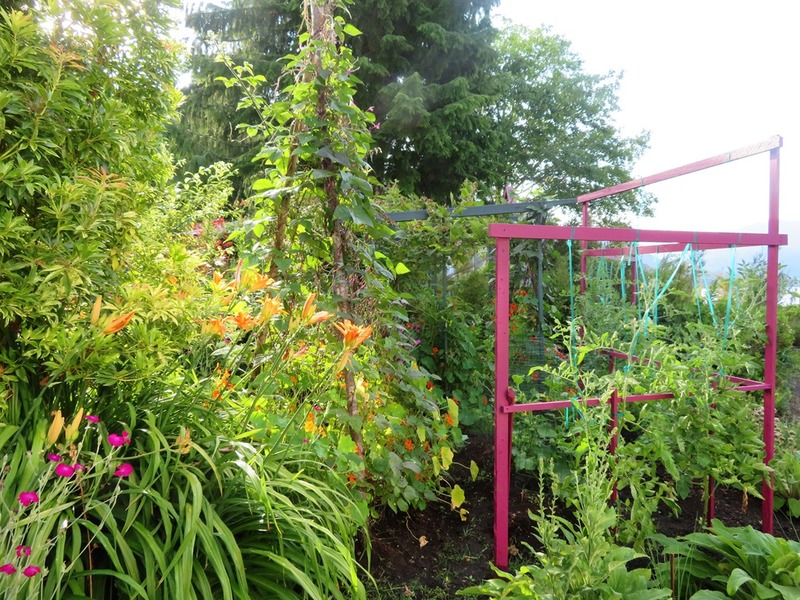 This entry was posted in Gardening, Grandparent, Life, Photography and tagged dragon tongue bush beans, fresh beans, gardening in zone 8, growing your own, purple peacock pole beans. 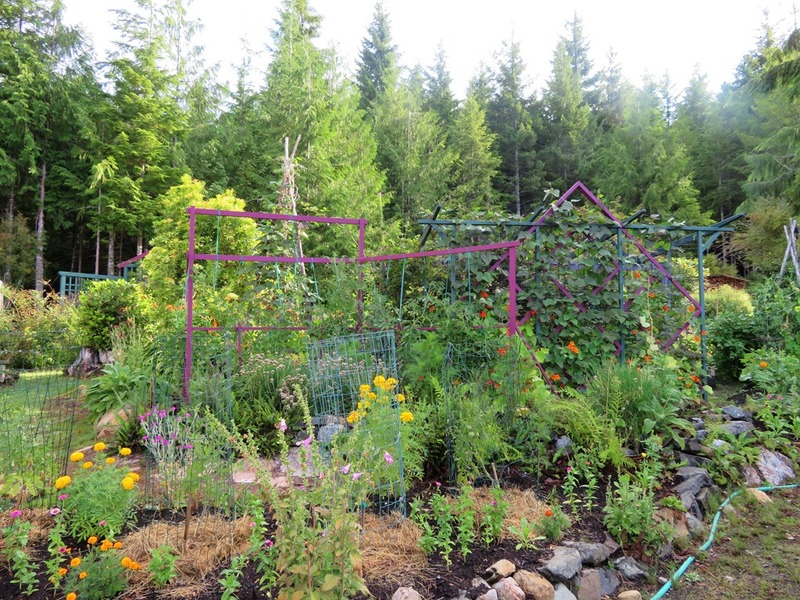 What an inspiring gardenscape you’ve created on an already enchanting wild landscape. And yes, the days are good for brewing storylines. Thanks you for sharing glimpses into your beautiful world. Sorry for such a delay in getting to an answer to such wonderful comments. Busy with this enchanting wild landscape, for sure. 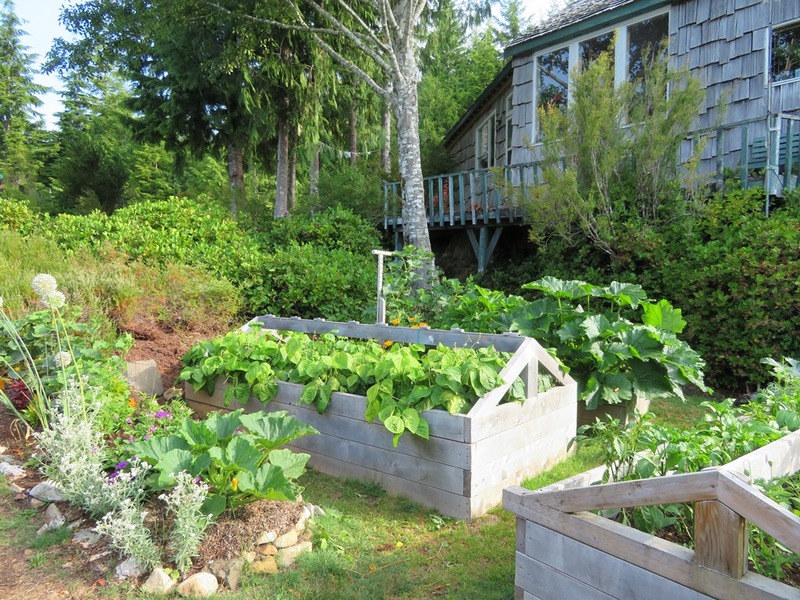 Time in a garden is never time wasted. Thanks for stopping by and commenting. That first picture is luscious! I love the colors. You seem to be an excellent gardener. And I like the colorful frames things grow on. 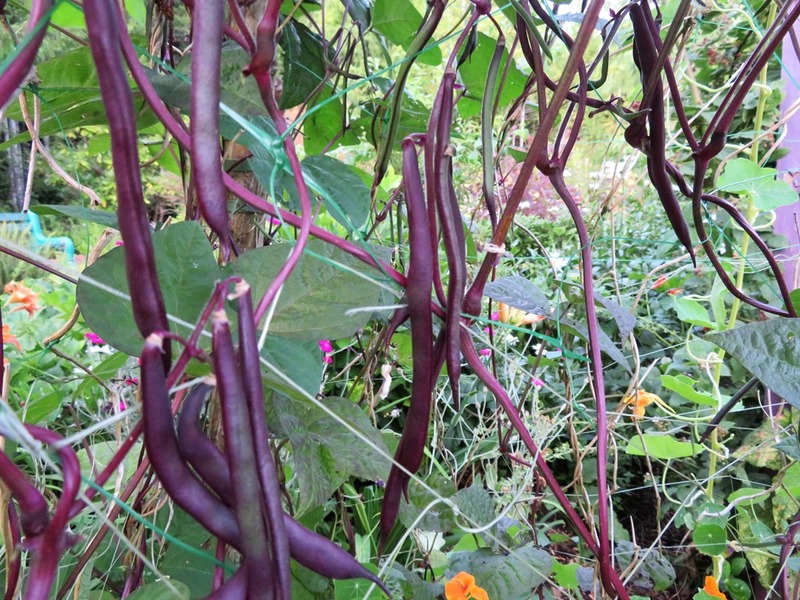 Those purple peacock pole beans have been such a treat. Beautiful to look at, heavy producers and great taste and texture. Can’t wait to grow them again next year. 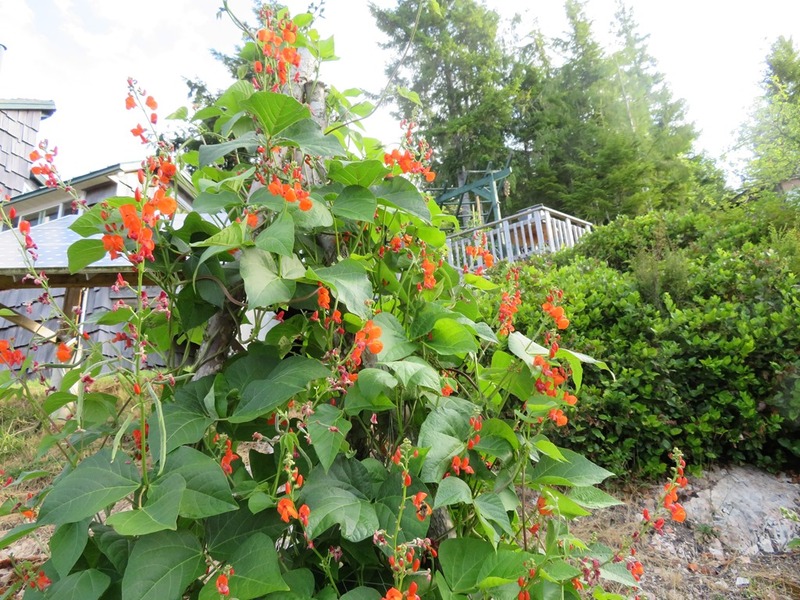 I love beans but usually only grow scarlet runners. 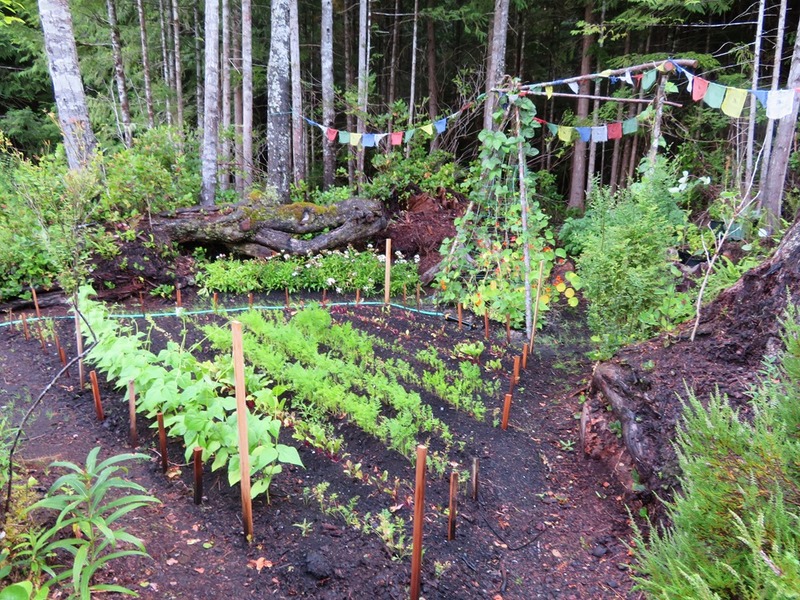 Your garden is looking wonderful, and bountiful. Many thanks. We are enjoying the wild landscape we have created with the help of the various elements. 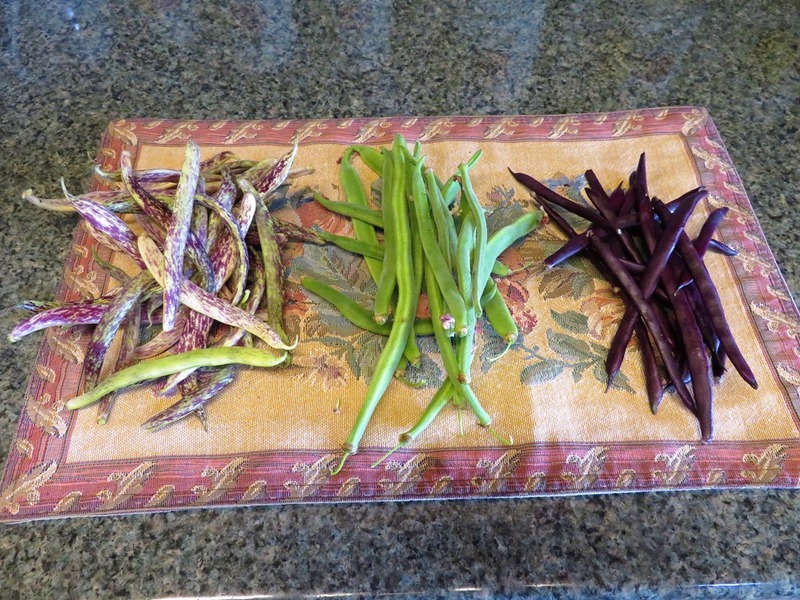 My garden is on my deck this year and I have beans. I thought yellow wax beans but then they started to climb. 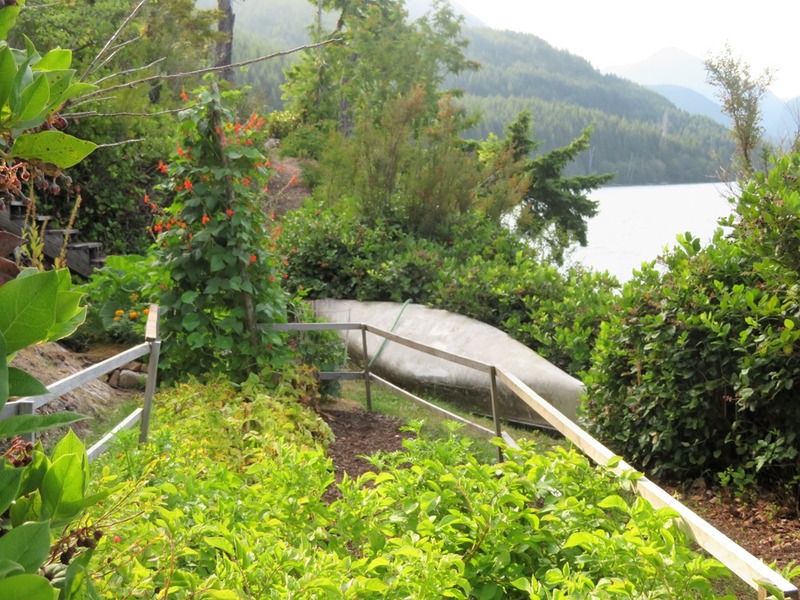 Yellow pole beans, who knew! They are climbing the strings I put up, right into the trees. They are way up there now. I’ll harvest them with a good tug on the string and make baked beans. So great to hear from you!